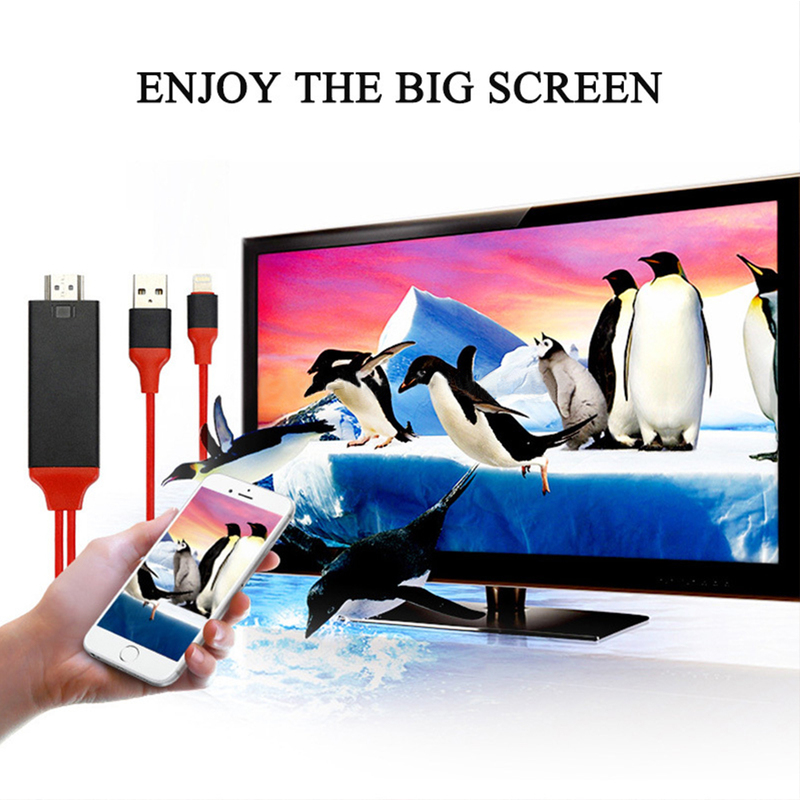 UPGRADE YOUR SMARTPHONE EXPERIENCE BY CONNECTING YOUR PHONE TO THE TV WITH OUR ULTRA HIGH-SPEED HDMI CABLE! 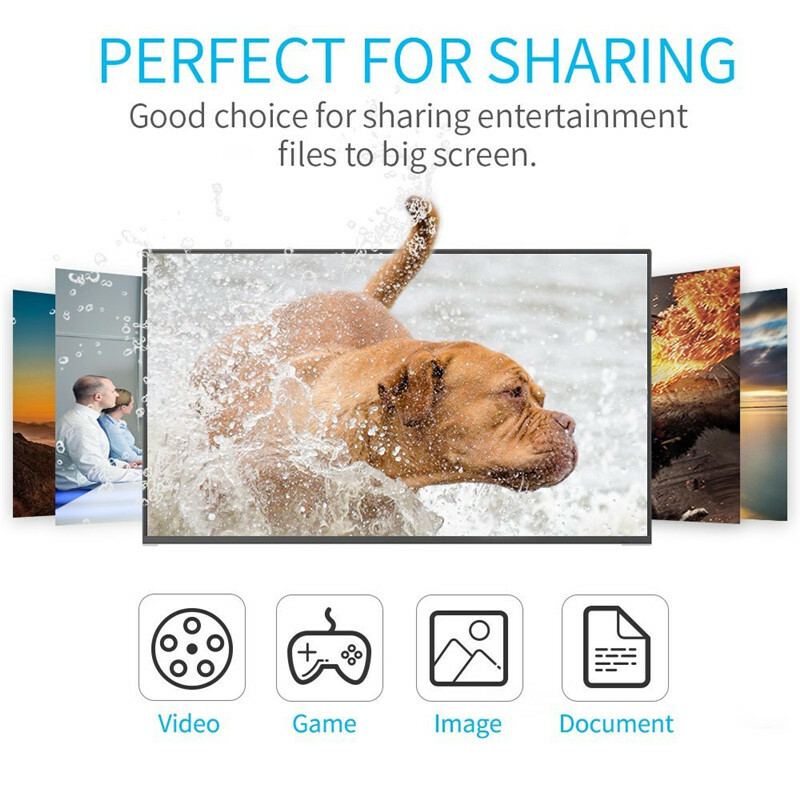 This allows you to instantly transfer your small phone screen to your TV without a hassle. Plus, an additional USB cable is connected so you can charge your phone at the same time! 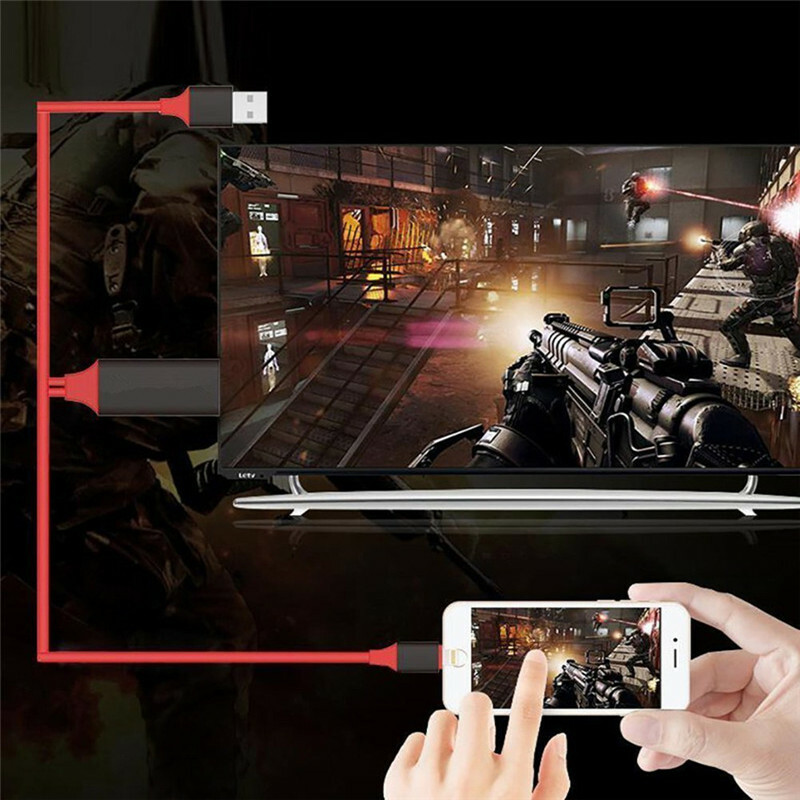 Now you can game or watch Youtube from your phone on the big screen with better sound! No Wifi, hotspot or any special setting. 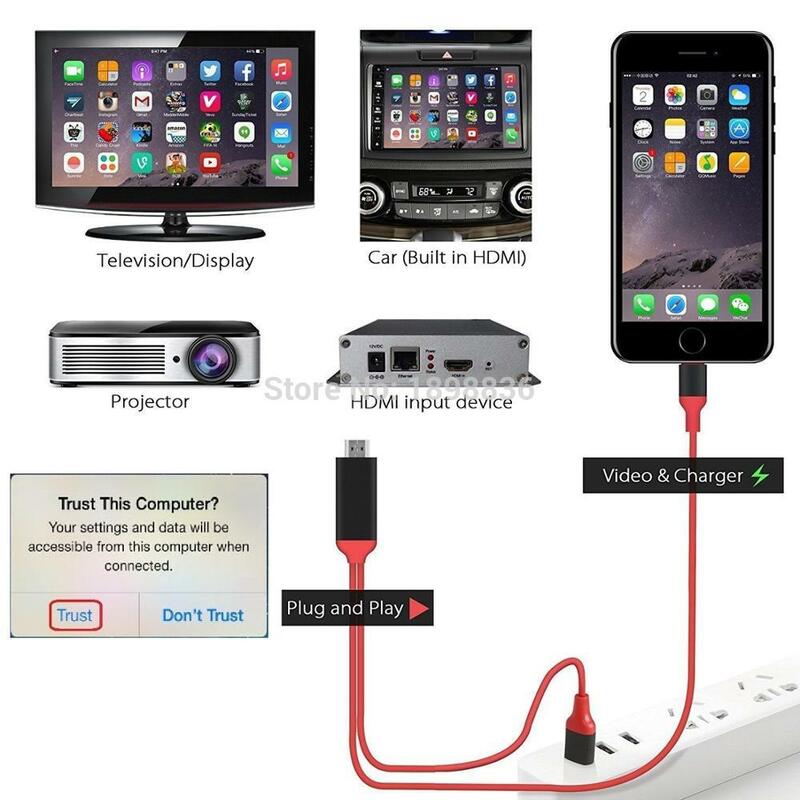 Just wait 5-10 seconds and click "Trust" on your device, and it will mirror your iPhone/iPad to HDMI-equipped devices automatically (TV, PC, projector, car). This iPhone HDMI CABLE isn't designed for charging purposes and is not compatible with display screens in cars. 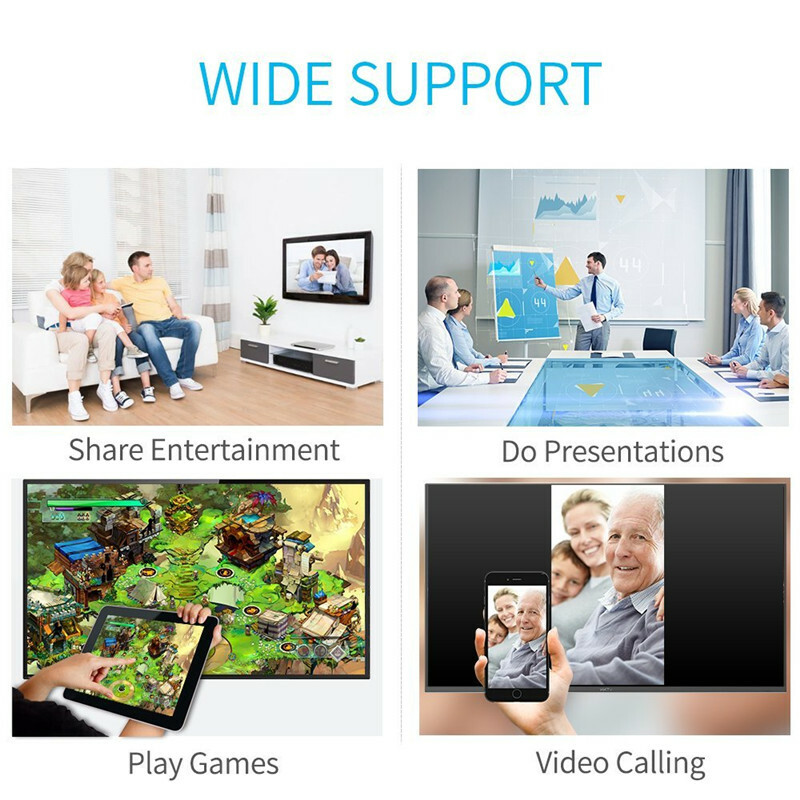 Supports streaming videos, pictures, games, slideshows on Facebook, YouTube, Instagram, Twitter, Reddit, Pinterest, Snapchat, IDMB, Microsoft Office,Hulu Plus, Quickflix, Family On TV, ABC, NBC, FOX, and more videos downloaded and saved on your IOS Devices for streaming. 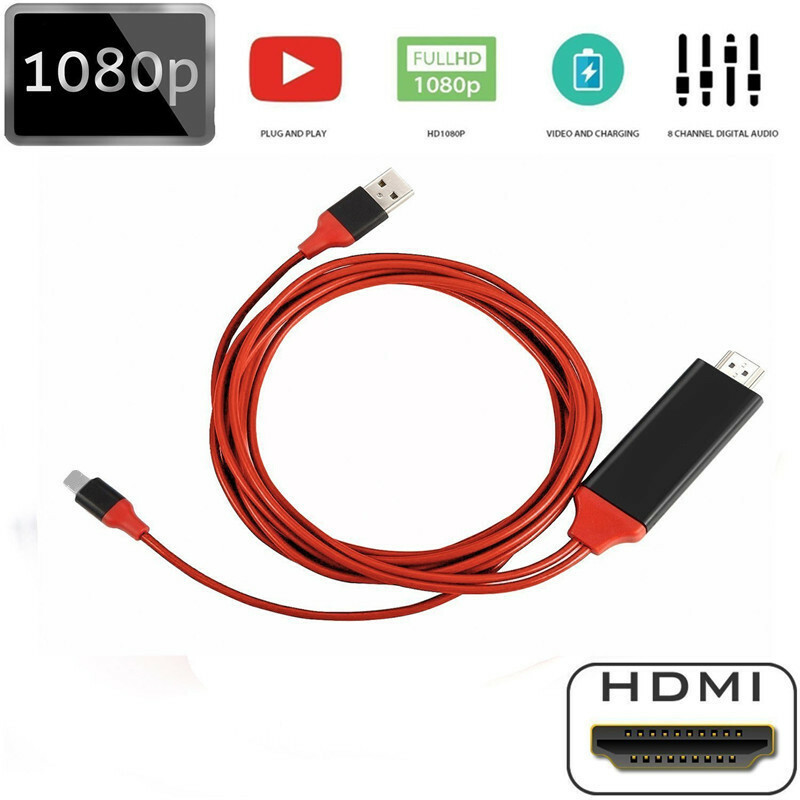 With T-CORE HDMI cable, now you can enjoy the best live-streaming with your families or friends. You can also experience games via the big screen. 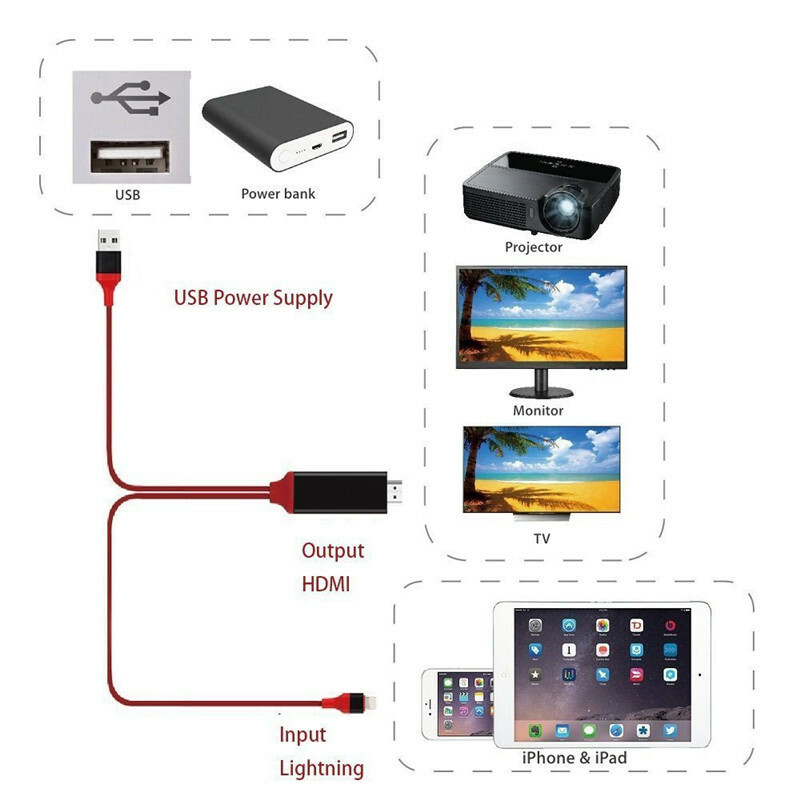 iTV Adaptor Cord™ is also a powerful tool for business, as it easily connects to a TV or projector in meeting room, allowing you to share images, data, and/or slides with your teammates or clients.